Beyond a shadow of a doubt, HELL IN THE CLUB is a killer hard rock/heavy metal band. Think of a playlist comprised of your favorite ‘80s hard rock bands like Motley Crue, Def Leppard, and the like mixed with the cream of the crop of ‘80s heavy metal like Ronnie James Dio, Helloween, and other giants of the era. Now, imagine if all those classic songs started to play over each other and overlap and merge with one another and you’ll start to have a sense of Hell In The Club’s sound. Familiar, yet wholly unique. Riffs, big hooks, catchy choruses, and gang vocals are the order of the day as they mix classic hard rock and modern sounds, heavy metal and party songs, fifties rock’n’roll and anything in between. Hell In The Club has staked a serious claim in the European metal scene based on a lot of hard work over the years. 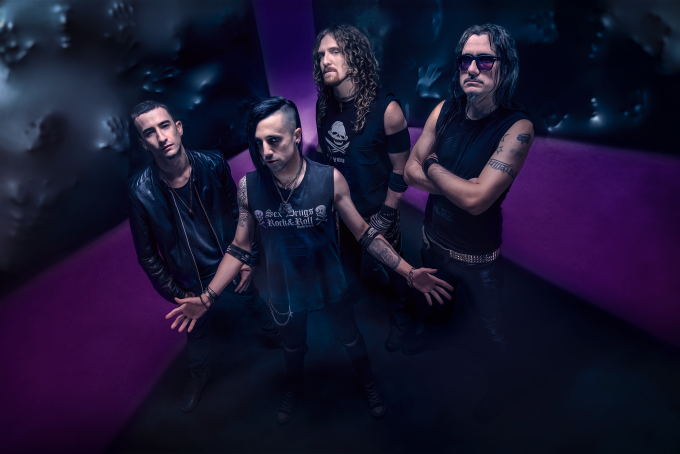 They’ve toured extensively in Europe and the UK with the likes of Crashdiet, Jettblack, Crucified Barbara, and appearances at Sonisphere Festival, Basin Fire Fest, Heineken Jammin’ Festival, and more. It should also be noted that Andrea (Andy) Buratto is also a member of Italian progressive metal legends Secret Sphere and vocalist Dave is also the singer for popular folk/power metal band Elvenking. 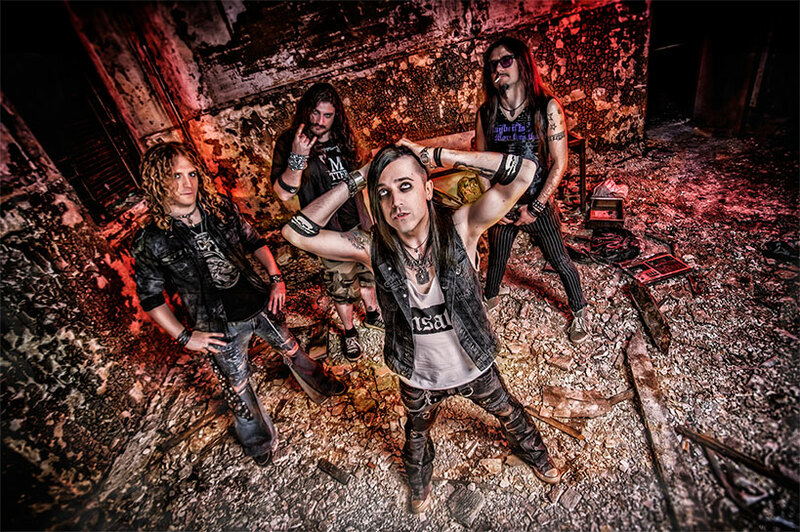 HELL IN THE CLUB will make you dance, sing along, raise your fist in the air, and bang your head with their songs! Rock ‘n roll AND heavy metal is the law! !